A new drug that helps control the seizures caused by epilepsy became the first-ever 3D printed medicine to get approved by the FDA in the U.S. on Wednesday (August 5). This could potentially open the door to a future where medicine customized to meet a patient’s unique needs—like pills in special doses or shapes—can be printed by hospitals, and where we could download and print our own meds at home instead of going to the pharmacy. 3D printed casts are under development, and aim to be way more comfortable than the old-school plaster and fiberglass ones. They’ll be custom-made to fit the patient, and the airy, waterproof honeycomb designs mean it won’t get all smelly and itchy under there. The only down-side is that your friends won’t be able to sign it—but one company is solving that with the #CAST project, where they’ll use an app to 3D print a cast in the shape of all your “get well soon” wishes from social media. So… Do you have to break an arm to get one? Right now, most of the food that’s being 3D printed involves chocolate or sugar, but cool-looking healthy foods (and pizza!) are also on the way—and 3D printers might soon be available for home use! It’s not delivery, it’s 3D printed Digiorno. There are an estimated 10 million amputees in the world, and high-functioning, custom-fit prosthetics have traditionally been super expensive and hard to obtain. 3D printing is now being used to create customized, more affordable prosthetics, and there are several nonprofits helping to gift them to people around the world. We’ve recently figured out how to 3D print drones, and they can do all kinds of things that can help people and make the world better—like fighting fires, helping us protect endangered species from poachers and delivering lifesaving medical equipment to the scene of an accident in the blink of an eye. Musical instruments might not be saving lives, but we can all agree that music makes the world better. 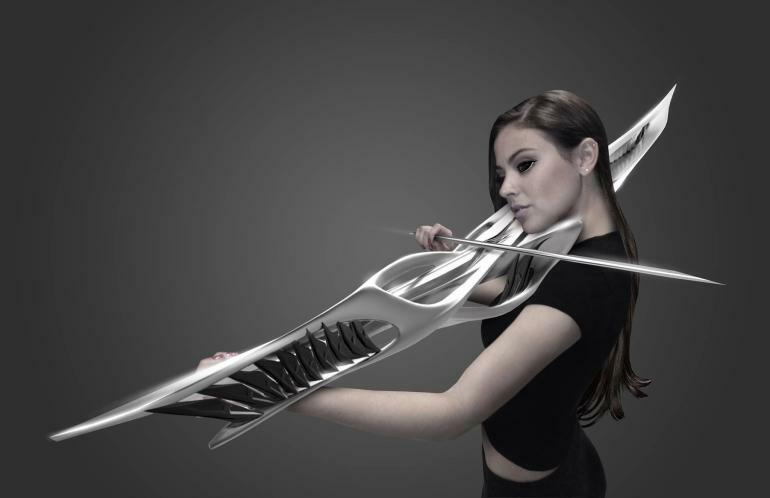 Both traditional instruments and new, innovative ones are being created through 3D printing. They sound pretty amazing, and can look even cooler. Stem cells, which are found in human embryos, are used in medicine to help regenerate damaged organs, tissues, and cells in sick adults. In 2013, scientists developed a cell printer that generates living stem cells—which could be used to grow organs or human tissue. 3D printing has also been used to successfully create skull and facial implants, and labs have successfully printed ears, noses, bladders, arteries, and skin, though most of them aren’t yet approved for use. Last year a company in China made headlines by building 10 one-story houses in 24 hours using 3D printing, a process they said was “environment-friendly and cost-effective,” in addition to being safer for workers. A company in Amsterdam also has plans to print a steel bridge in Amsterdam—3D printing might be the future for major construction projects. Several types of 3D-printed cars are soon to be road-ready. The manufacturing process for them is significantly less expensive and much more environmentally-friendly than traditional car manufacturing. In addition to working toward actually printing body parts, surgeons are now printing exact replicas of human organs based on patients’ MRI scans to so that they can practice their surgical techniques before ever cutting into a patient. This is proving especially helpful for complex surgeries on the tiny hearts and brains of little kids and babies. Researchers have successfully created lithium-ion microbatteries that are the size of a grain of sand, but can still hold lots of energy. The batteries could one day be used to power tiny medical implants (like very small pacemakers), eensy-weensy robots or super-small electronics.